While Kenneth Bae’s fate in North Korea continues to remain ambiguous, the smoke cleared a bit on Monday when he appeared in front of reporters to plead for his release. Bae, a U.S. citizen of Korean origin who was arrested in November 2012 for alleged crimes against the North Korean state, said that he had committed a “serious crime” and stated that had not encountered abuse at the hand of the regime, according to CNN. Bae has been sentenced to 15 years of hard labor by the regime. In response to Bae’s statements, the United States has extended an offer to the North Korean regime to send a special envoy to help defuse the situation and win the release of the American missionary. According to Voice of America, an anonymous White House official said that the U.S. was ready to dispatch Ambassador Robert King to secure Bae’s release. According to an official source interviewed by Reuters, the U.S. government interprets Kenneth Bae’s appearance before reporters as a signal that the regime is willing to release him. Until now, the United States has been working the Bae case through the Swedish Embassy in Pyongyang. The United States and North Korea maintain no formal diplomatic ties. North Korea has detained at least six U.S. citizens in the past five years – all have eventually been released after being sentenced similarly to Bae. Bae’s confession in front of reporters and cameras in Pyongyang comes on the heels of a similar episode involving 85-year-old U.S. Korean war veteran and tourist Merrill Newman. 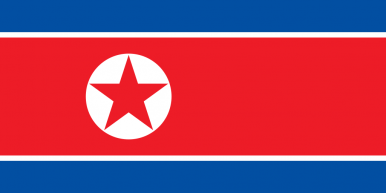 Newman was detained during a vacation in North Korea and forced to confess. In describing his confession, Newman noted that “the words were not mine and were not delivered voluntarily.” It is likely that Bae’s confession occurred under similar circumstances. The United States sent no formal envoy to retrieve Newman, who was eventually released and deported by the North Korean regime after over a month in captivity. The regime said it released Newman due to his age and medical condition – so far, the regime has shown no such leniency towards Bae despite concerns about his health. A statement from Bae’s family to the North Korean regime apologized for Bae’s alleged crimes and plead for leniency on the grounds that Bae was in poor health. Against the backdrop of these developments on the Bae case, U.S. Deputy Secretary of State William Burns traveled to Seoul, South Korea where he expressed concerns about the reckless behavior of the North Korean regime, spurred by Kim Jong-Un’s sudden assassination of his uncle Jang Song-Thaek. Burns did not comment on the Kenneth Bae case and vowed that Washington and Seoul would cooperate “in dealing with challenges posed by the North Korean leadership,” according to Yonhap News.